Whenever I move to a new country, packing is a very stressful experience. On one hand I love it, because I like putting things in my suitcase and imagining the exotic locations I’ll be using them in next. But trying to fit everything you need for 1 year into a measly 20kg is not the easiest of tasks. 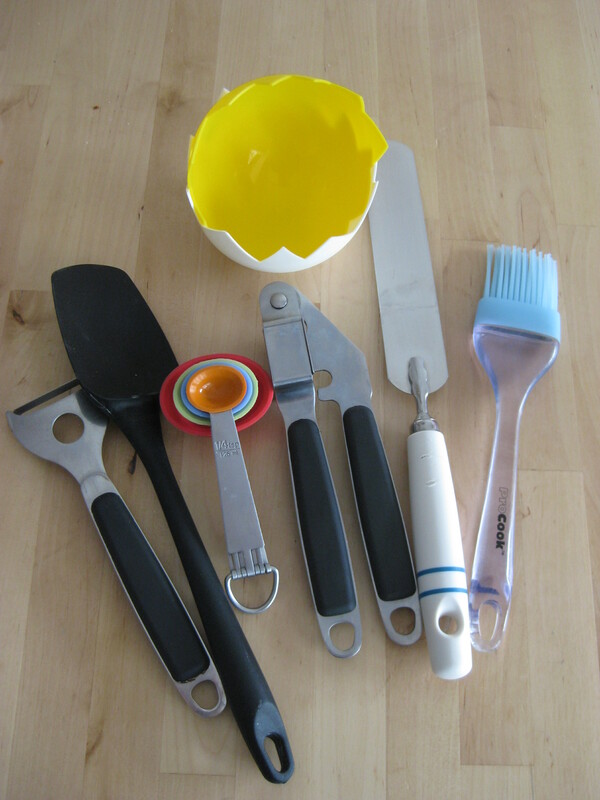 But I always find room in my luggage for some of my kitchen essentials – not that you necessarily can’t buy these things overseas (though I’m yet to see any egg poachers around), just that I only like my tried and tested ones. Obviously though, I have to build up my kitchen supplies on arrival. 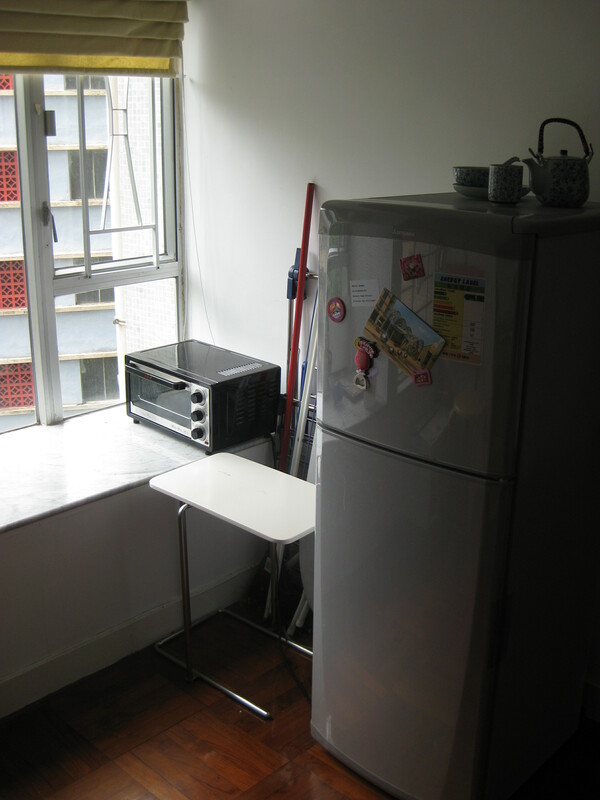 I’ve always been lucky enough to have furnished accommodation, with kitchens full of utensils left behind by old teachers, but I still need more. All last year in Italy I struggled to get by without an oven, but this year I couldn’t take it any longer, so not long after arriving, I splashed out on this little mini oven. This weekend I finally treated myself to a food processor, and celebrated with a batch of houmous and some spinach and feta falafel. I know houmous isn’t really “cooking”, but I use it as mark of how far my culinary skills have advanced over the years. I used to be the kind of cook who religiously followed the recipe, not allowing for any adaptations or tweaks. People like Jamie Oliver who offer such vague measurements as “a glug”, “a splash”, “a sprinkle” were my nemesis. But now I’m much more capable of guessing quantities and flavouring things to my particular taste. I started out years ago with a set recipe for houmous, detailing exactly how many tablespoons of everything I needed, but now I just collect my ingredients, chuck them in the food processor and add more as needed. I don’t think I ever use the exact same quantities twice, and every batch I make is slightly different in texture or taste, but always an absolute treat. So here is my vaguely accurate recipe for houmous. 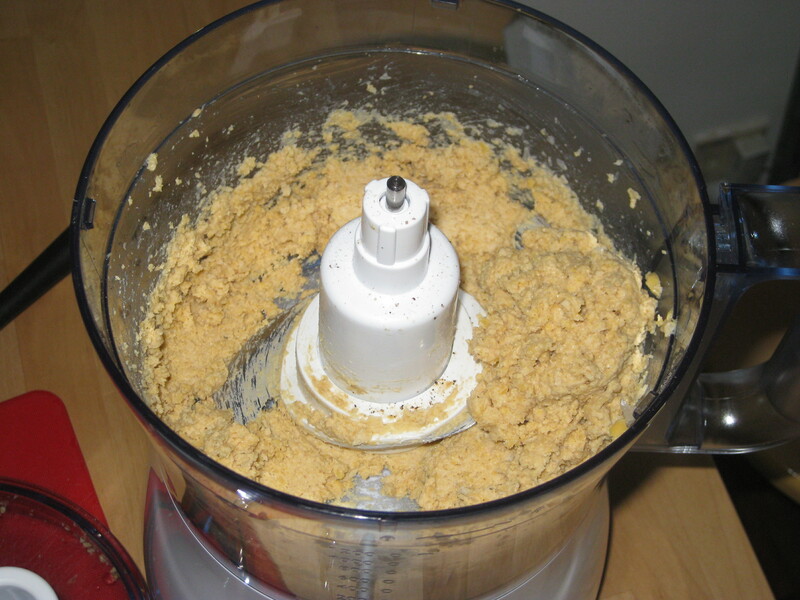 Put the chickpeas and most of the lemon juice in the processor and blend briefly. Then add the other ingredients and process until it achieves your desired consistency – I like mine quite thick. Add more lemon juice, oil or seasoning as required – I usually add the rest of the lemon juice, a drizzle more oil, and a good bit more seasoning. Enjoy the houmous with some carrot sticks or pita bread. 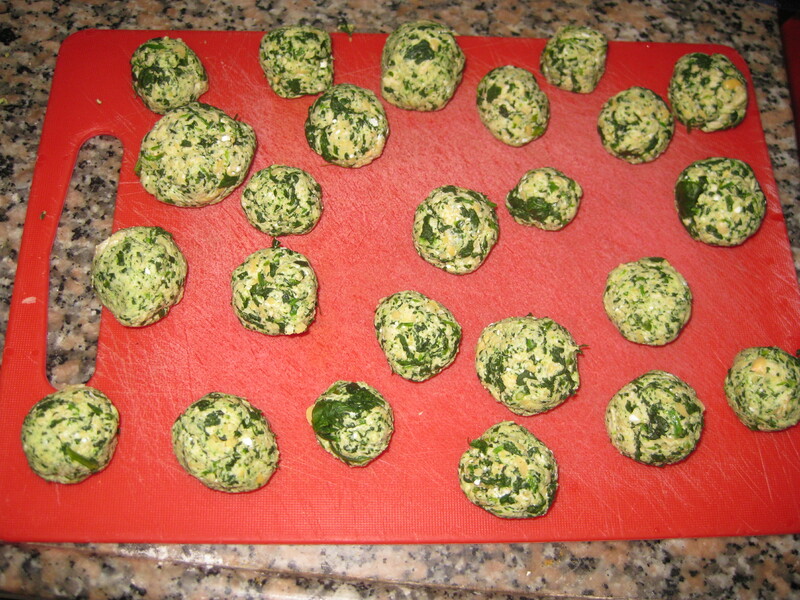 I ate mine as an accompaniment to these spinach and feta falafel that were recommended to me in the summer by Emma. Even though the recipe is fairly new to me, it already feels like a classic because these are so unbelievably tasty. The good news is they’re also incredibly easy to make. 1. 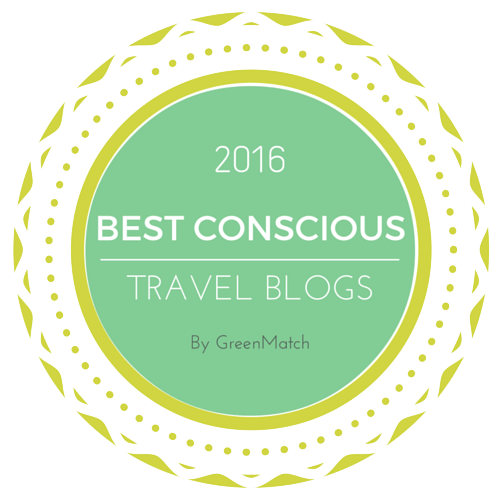 Place the spinach in a colander and pour a kettle of boiling water over it to wilt. Leave it to cool (I run it under a cold tap too because I’m impatient! ), then squeeze out as much water as you can. 2. 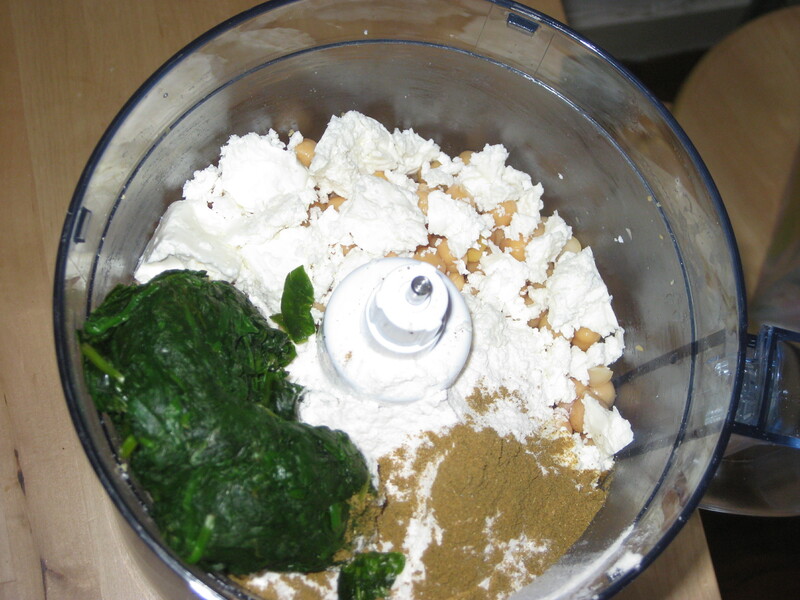 Put the spinach in the food processor with the chickpeas, crumbled feta, cumin and flour. Blitz until it’s combined. 3. 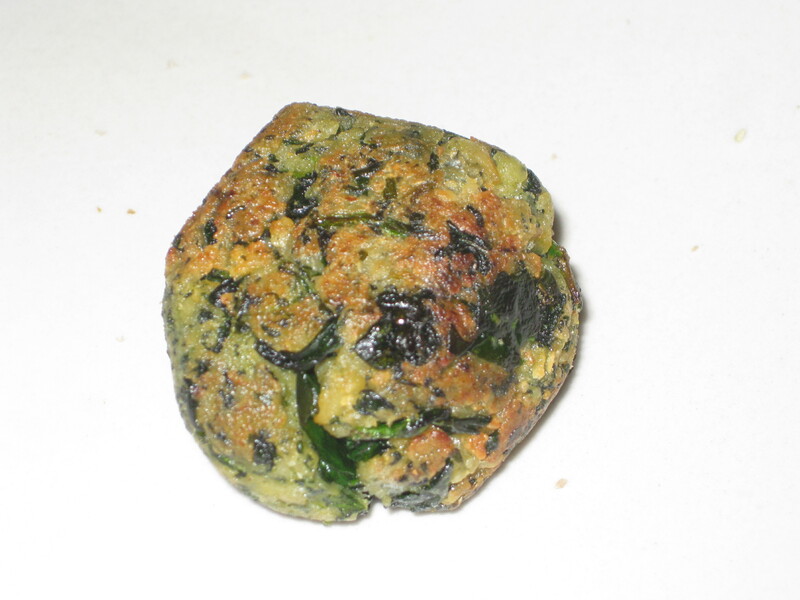 Roll it into balls with your hands – you can make them as big or small as you like. 4. 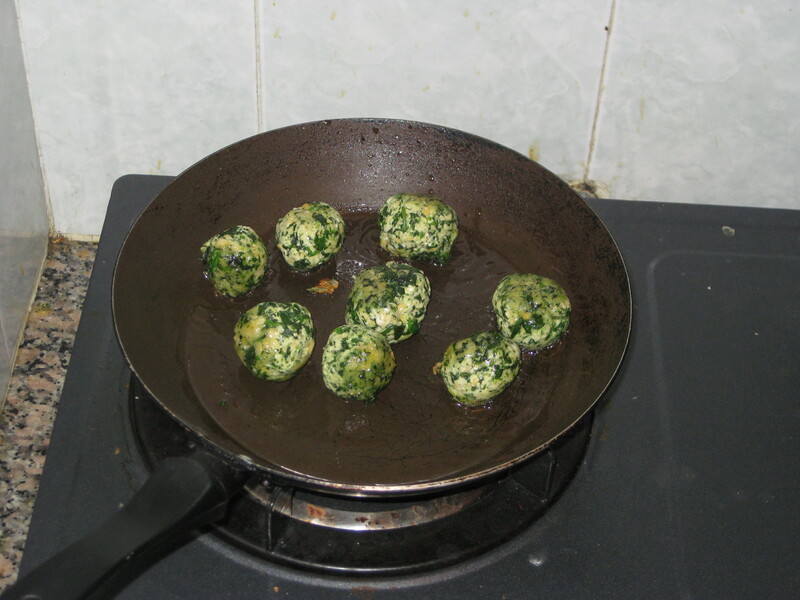 Heat some vegetable oil in a frying pan, and fry the falafel in batches for about 4 mins, rolling them around the pan to ensure even cooking and colouring. 5. Either eat them immediately (DO IT! ), or leave them to cool and freeze them for up to 3 months. They can be defrosted in the fridge overnight and heated up in the oven at 180oC for 5-10minutes. These, with the houmous, pita and some veg, made a lovely meal for a lazy Sunday night watching DVDs. 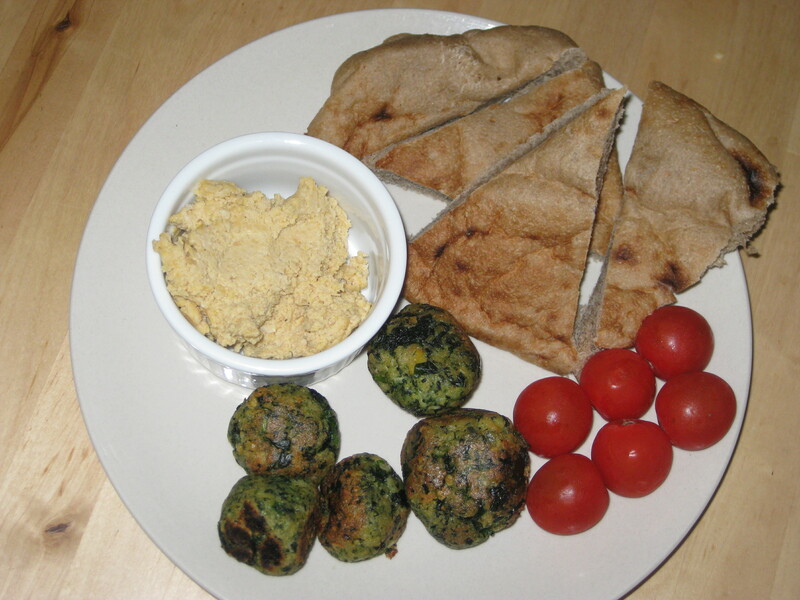 This entry was posted in Vegetarian Recipes and tagged cheese, chickpeas, falafel, feta, houmous, spinach. Bookmark the permalink. Hi Jenny, You won my giveaway (for a copy of Cookiepedia) but I can’t find any contact details on your blog! Please contact me with your address by tomorrow. I’d hate to have to choose a new winner. Hi Kelly, thanks! I’ve emailed you my address.